Harry Potter and the Deathly Hallows which was 831 pages long. It was the mass market paperback adult edition. It took me about 8 days to read because I usually read 100 pages a day. It would be have been "It" by Stephen King which is something like 1300 pages but I stopped reading at around page 700 because it was so tiring! That took me around a week to read that much. I'm hoping to pick it back up soon. Thanks for the follow! I hope you get to finish the Harry Potter series soon, the last two books are the best IMO. I have not read King...or Harry...and actually have an objection to these Giant Books. Is 800 pages really necessary? For certain books, yes, it is. You can't tell a long story in a 200-300 pages. If it needs to be 800 pages then it's necessary. Although some books do drag and could be a lot shorter but Harry didn't drag on. I'm another King fan, I really love his writing style. The more answers I visit, the more books I'm remembering reading. Here is my Musing Mondays post. Hi! Thanks for the visit to my blog! Sorry it took me so long to reply as I was knee deep in grading papers all week. I loved Harry Potter and the Deathly Hallows! I gobbled it up in just two days. For me, Harry Potter and the Order of the Phoenix felt the longest among the Harry Potter books. I don't know the actual page count but it took me quite some time to finish it. Order of the Phoenix was the longest but I read it in the first edition so it's shorter than Deathly Hallows adult edition. 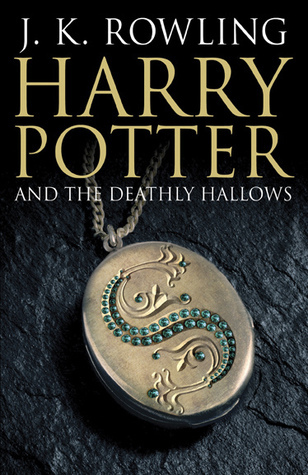 I can't remember how long it took me to read Deathly Hallows the first time in the first edition, probably a couple of days also. But it took me 8 days to read the adult edition because I had read it previously and was in no rush to finish/to find out what happened.